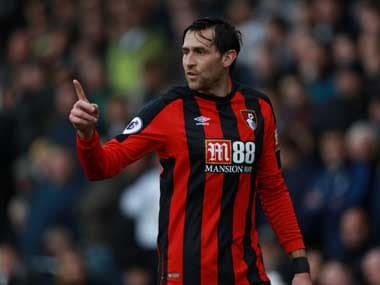 London: Chelsea needed a penalty shoot-out before finally killing off Norwich after a 1-1 draw in Wednesday's FA Cup third-round replay, while Bournemouth slumped to a 3-0 defeat at Wigan. Antonio Conte's side finished extra-time down to nine men after late red cards for Pedro and Alvaro Morata at Stamford Bridge. They had been forced into the extra period when Jamal Lewis's last-gasp equaliser cancelled out Michy Batshuayi's strike. Chelsea's reserve goalkeeper Willy Caballero made the crucial save from Nelson Oliveira in the 5-3 shoot-out win to send the Blues through to host Newcastle in the fourth round. 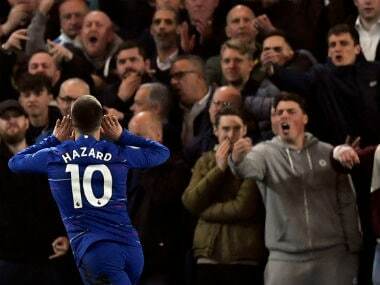 It was a first win in 2018 for Chelsea, who had drawn their four previous matches in all competitions this year. "It is the FA Cup, it is not easy to win the game. 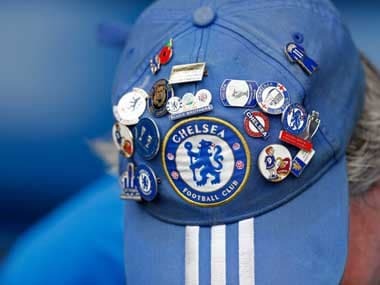 We gave everything, at the end of the game we played 9 v 11 so we showed great character," Chelsea star Eden Hazard said. "We are happy but also sad that we lost two players. Now we can focus on the league." Norwich manager Daniel Farke added: "To be honest it's a big disappointment, some of the lads are sitting with tears in their eyes in the dressing room." Conte had made nine changes from the 0-0 draw with Leicester on Saturday, with Hazard, Cesc Fabregas, Thibaut Courtois and N'Golo Kante left out of the starting line-up. After the kick-off was delayed for 15 minutes due to traffic congestion around the stadium, Chelsea dominated the first half and almost went ahead when Danny Drinkwater's 25-yard drive hit the crossbar. But they couldn't find the breakthrough and Oliveira nearly provided it for Norwich instead when his effort hit the bar. The Blues finally ended their three-match goal drought in the 55th minute when Belgian striker Batshuayi finished off Kenedy's cross from close range for his first senior goal since October. Josh Murphy hit the post as Norwich pushed for an equaliser before the out-of-form Morata came off the bench and missed a chance to wrap up the win. That blunder from Morata came back to haunt Chelsea in the fourth minute of stoppage-time when Timm Klose whipped in a fine cross and teenage defender Lewis rose to glance his first professional goal in off the far post. Conte was furious that the video assistant referee didn't intervene when Willian was denied a penalty and booked for diving after a challenge from Klose caught the Brazilian in extra-time. Chelsea were reduced to 10 men when Pedro earned a second booking for a foul on Wes Hoolahan. And there was more controversy in the final seconds when Morata was booked for fall in the area and then protested so vehemently that referee Graham Scott sent off the forward for a second yellow card. In the shoot-out, Oliveira's kick was saved by Caballero, while Willian, David Luiz, Cesar Azpilicueta, Kante and substitute Hazard converted for Chelsea. At the DW Stadium, third-tier Wigan, who won the FA Cup in 2013, brushed aside under-strength Bournemouth in their third round replay. 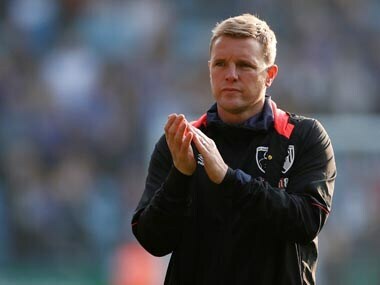 Eddie Howe made eight changes to the team that beat Arsenal on Sunday and Bournemouth, 13th in the Premier League, looked lost with their understudies in action. Sam Morsy put Wigan on course for the upset with the ninth-minute opener. Dan Burn's shot went in off the crossbar to double Wigan's lead in the 73rd minute before Callum Elder's header three minutes later wrapped up the victory. Wigan next face a fourth-round tie at home to West Ham. Wilfried Bony gave Premier League strugglers Swansea a 2-1 win over Championship leaders Wolves in their third round replay. Jordan Ayew also scored for Swansea, who travel to fourth-tier Notts County in the next round.